This is a Copper panel that is created by a process of metalworking called repousse . Repousse is a technique that has been practiced since the dawn of time.The work involves using small steel punches and chisels to raise volume from the back of the material . The material is backed up with a pine resin compound called pitch to support the copper as it is being worked . The Front of panels are then chased with hammer and chisels to bring life and detail to the design .If you are interested in the art of Repousse and want to learn from a Master , please look up Valentin Yotkov online at http://www.valetinyotkov.com. He is a wonderful guy as well as a superb teacher ! 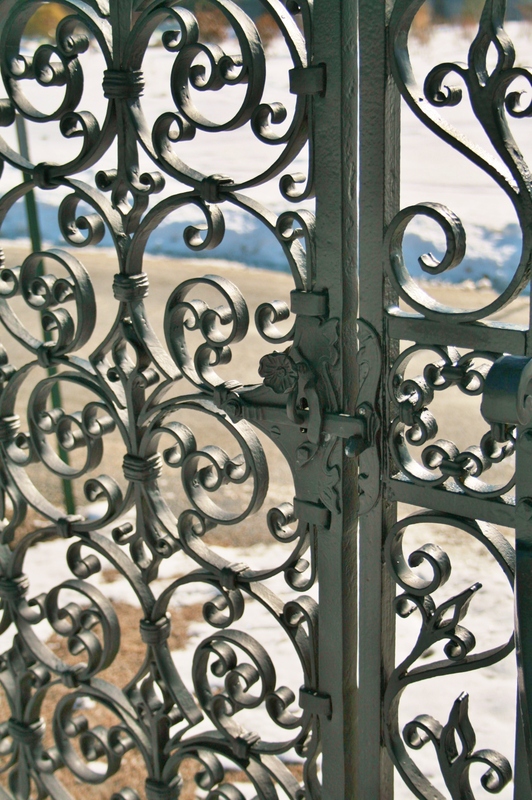 These are some wrought iron grilles we made for a house that was inspired by french style wrought iron .They were made to fit inside a circular window frame . 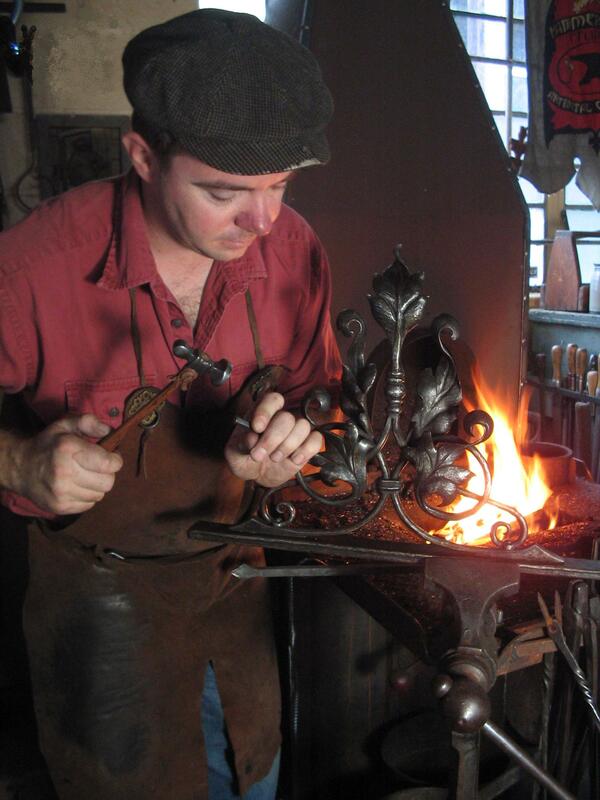 Renaissance door knocker By Carl Close Jr. This is a 15th century style doorknocker that is made by piercing and carving with tiny carving chisels .the face i carved in a typical 15thth century german style . It is March 19th and we just got 8 inches of snow in Concord Ma. Come on green grass and flowers!!!!! Hammersmith Studios is a company that was founded on a belief that great metal work is created with passion and love of detail. Susan and Carl Close work with their team of craftsmen and artisans to provide exquisite Art Metal that is Transcendent of time and upholds a standard of quality that is rare today. Welcome to Hammersmith Studios Blog!